One of magic and pretend. It is for you I send. Doesn't matter how or when. The day with me you spend. And walk the mountain trail. Where nature's beauty does prevail. It is there we are together. 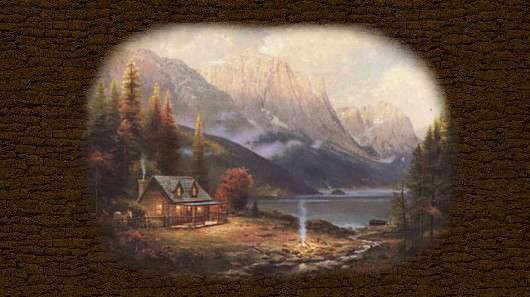 Art work is by Thomas Kinkade and is used with his permission. © Copyrighted 2002 by ~southbreeze~. All rights reserved.